Americans have been enjoying tea long before America gained its independence! And Americans have been enjoying iced tea longer than the 1904 World’s Fair in St. Louis when Richard Blechynden is reported to have added ice to the tea he was serving due to the extreme hot weather. Tea was first introduced to the colonists by the Dutch East India Company in the second half of the 17th century. As tea was rising in popularity in the royal court of the Netherlands, the rising class of colonists, particularly in New Amsterdam (New York) wanted to replicate the beauty and charm of serving tea, by bringing out their best porcelain cups and tea pots, using their finest silver accompaniments, and showing off their gorgeous, ornate wooden tea caddies. After a bit of a roller coaster ride (Boston Tea Party, anyone? ), tea made its way back into daily consumption. It is around the early-to-mid 1800’s, right before the Civil War, that iced tea is said to have made an appearance. I remember one particular trip with Char to Charleston to visit her old school chum, Betty Ann. Betty tut-tutted Mr. Blechynden’s claim, as she remembered her grandmother’s sweet tea being a summer staple years before the St. Louis World’s Fair. She eventually conceded that Its popularity grew as a result of that World’s Fair in 1904. 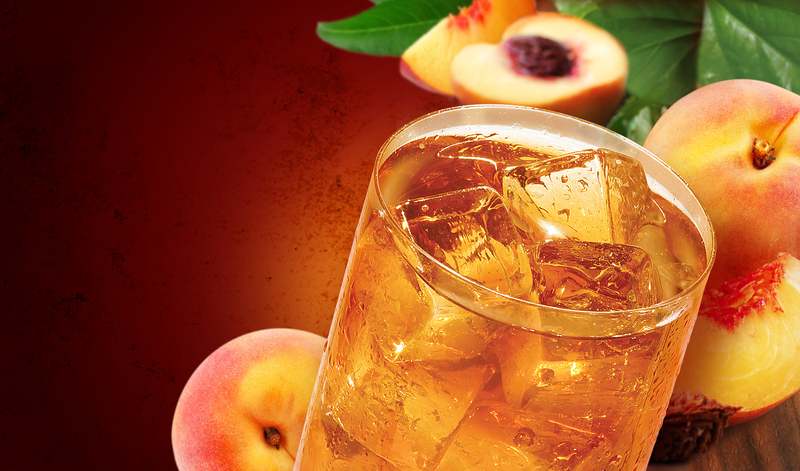 But regardless of how or when, the real “what” in a truly American Tea Tradition is Sweet Tea. This black tea and sugar combination is a Southern institution, and there are a multitude of variations, including recipes with alcohol! 6 Black Tea Bags (she likes Fresh and Easy Ginger Peach Flavored Black Tea), 2 cups boiling water, 1 cup sugar (or more, if you really have a sweet tooth), and 6 cups cold water. Steep the tea bags in the boiling water for 10 minutes. Pour the brewed tea into a 2 quart pitcher. Add the sugar and stir until dissolved. Add cold water and chill until ready to serve. Pour over ice. And add a slice of peach, if you’re feeling a little fancy! While many Americans enjoy their iced tea in tall glasses, I love that both Char and Kat always drank their iced tea from me. I kind of like that gentle clink of the ice! What’s your favorite American Iced Tea Tradition?